On December 14, our KSDHCPA members attended Assemblymember Lorena Gonzalez-Fletcher’s Annual Holiday Open House and Diaper Drive. Since 2014, the Assemblywoman has been working to pass legislation that would subsidize diaper costs for California families on welfare. 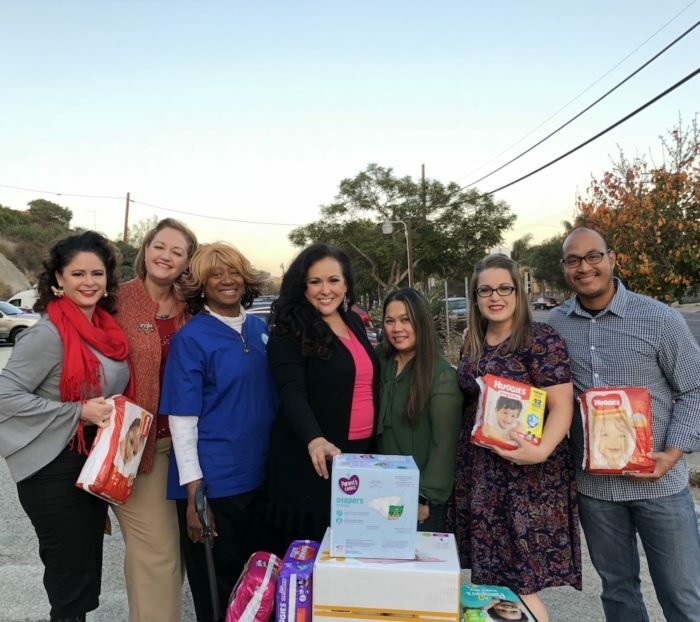 Last year, she launched the first of an annual end-of-the-year diaper drive to help meet the more immediate needs of families within her district. The momentum behind this rapidly growing effort has since led to the establishment of a diaper bank in San Diego, and ultimately, to this year’s passage of Assembly Bill 480 – which provides subsidies to offset diaper costs for CalWorks and Cal-Learn program recipients. We’re grateful to our KSDHCPA affiliate for their donation of over 600 diapers to this important cause! Thank you to the following members who joined us.